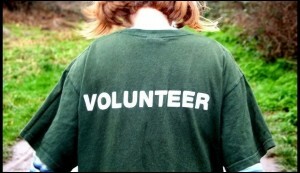 Where do if find out when the next volunteer day is? Do you have any animals on the farm? We currently have no animals on the farm but there is alot of wildlife in and around the farm. Can I buy the produce from the farm? Unfortunately we are currently not allowed to sell the produce but we welcome donations for our produce. Whats happens to the fruits/vegetables the farm produces? All volunteers take a share of the produce and we also make regular donations to Streets2Homes in Harlow. How long do I have to volunteer for? There is no commitment needed when volunteering at the farm, you choose how often and long you would like to volunteer. How is the farm funded? The farm was initially funded through a CrowdFunder campaign and is now funded through further fundraising. The farm is run by a committee which consists of a Chairman, Secretary, Treasurer and Committee members. Everyone is welcome to be a committee member for the project. What facilities does the farm have? The facilities at the farm are quite basic but we have a sheltered seating area with a constant flow of tea & coffee, toilet and parking. The farm is free for everyone.